eBay Inc. is a major player in the global e-commerce market, specializing in online retail/auction marketplace, classified listings, and ticket exchange services. The company’s success is a result of strategies that solve issues associated with external factors in the industry environment, such as the opportunities and threats shown in this PESTEL/PESTLE analysis of eBay Inc. In managerial decision-making processes, the PESTEL/PESTLE Analysis model is an external analysis tool for determining relevant factors in the company’s remote or macro-environment. eBay’s case focuses on the external factors linked to the Internet and related technologies. For example, mobile devices are considered in terms of their influence on how buyers and sellers use the company’s trading websites. Such trends in the remote or macro-environment occur with the corporation’s competitive challenges involving firms like Amazon, Etsy, and Walmart (Walmart Marketplace). With strategies shaped through external analyses like this PESTEL/PESTLE analysis of the business, eBay Inc. can solve problems related to macro-environmental factors. This PESTEL/PESTLE analysis of eBay Inc. outlines external factors influential to strategic management in online business. For example, the company’s development is based on market opportunities connected to remote or macro-environmental factors, such as governmental or political action that supports online trade. 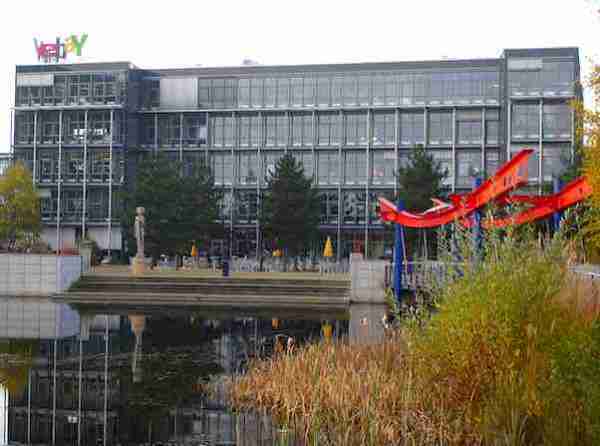 eBay’s generic competitive strategy and intensive growth strategies are designed to support multinational business growth despite the threats shown in this external analysis. In addition, the external factors identified in this PESTEL/PESTLE analysis reflect challenges other firms experience in the e-commerce industry environment. The company’s strategic approaches to macro-environmental factors determine its success in outperforming such competitors. Governmental support for e-commerce is considered in this PESTEL/PESTLE analysis as an opportunity to grow eBay’s business. For example, the company can expand its online marketplace in other countries whose governments are increasingly supporting e-commerce. However, this remote or macro-environmental factor paves the way for new entrants in the global market. New entry is a moderate competitive force determined in the Porter’s Five Forces analysis of eBay Inc. Similarly, governmental support for IT infrastructure creates a bigger user base (consumers and vendors), but also promotes competition. This part of the external analysis depicts an industry environment that is also subject to anti-trust policies. Such policies are external factors that impose restrictions on the company’s strategies for acquisitions and mergers. These strategies affect the company’s core operations and the operations of subsidiaries like StubHub and Kijiji. Considering the remote or macro-environment, the company’s managers must work on growing the business within government-imposed restrictions. The political external factors in this aspect of the PESTEL/PESTLE analysis of eBay Inc. put value on compliance for strategic growth in the international market. Economic Factors Important to eBay Inc. Developing countries’ rapid growth is an economic external factor that supports revenue growth based on increasing trade volume. For example, eBay Inc. can strategically expand its online retail/auction services in these developing markets to generate more revenues from rising trade. In relation, this PESTEL/PESTLE analysis of eBay Inc. identifies rising disposable incomes as an opportunity. The company can expect higher revenues as consumers in developing countries gain higher capacity for online purchases. Moreover, economic stability in developed countries is assessed in this external analysis as an opportunity to improve the multinational business. This external factor helps minimize economic barriers to business enhancement in the remote or macro-environment. Thus, the macro-environmental factors outlined in this PESTEL/PESTLE analysis create an industry environment that favors eBay’s business growth through appropriate management. Rising online activity reflects widespread Internet access and the increasing number of online users worldwide. This social external factor creates an opportunity to grow eBay Inc. by attracting more consumers and merchants to its marketplace website and related services. In relation, this external analysis highlights people’s preference for convenience based on online service effectiveness and efficiency. For example, buyers are now highly likely to consider online alternatives to brick-and-mortar services. Among the strategic factors identified in this PESTEL/PESTLE analysis, rising demand for high quality of service is a considerable threat to eBay. This issue arises from cases of fraud among buyers and sellers. To manage this threat, the company must improve its online security and safety. Nonetheless, the same external factor creates an opportunity to improve the company’s services to gain more customers. eBay’s corporate culture must account for these macro-environmental factors to ensure business resilience in the e-commerce industry environment. This PESTEL/PESTLE analysis of eBay Inc. presents growth opportunities through expansion that exploits sociocultural external factors in the remote or macro-environment. Rising mobile device usage threatens eBay by opening the global market to more players. This technological external factor adds challenges in other fronts for competition, such as through mobile shopping. Nonetheless, this PESTEL/PESTLE analysis of eBay Inc. considers the same external factor as an opportunity to exploit the mobile environment to reach more buyers and sellers. For example, the company can improve its mobile apps’ functionality to retain more consumers and vendors in its online marketplace platform. Another macro-environmental factor relevant in this external analysis is the rising competition linked to technological innovation. For instance, the company now competes against Facebook Inc.’s Marketplace, which is a result of such innovation. The SWOT analysis of eBay Inc. shows strategic advantages for protecting the business against such forces in the industry environment. However, the company must continually innovate to address competitive changes in its remote or macro-environment, such as by integrating streamlined money transfer technology. Thus, eBay’s technological innovation is necessary in managing the external factors in this PESTEL/PESTLE analysis. The external factor of rising interest in environmental conservation is an opportunity to improve eBay’s environmental impact. This PESTEL/PESTLE analysis also stresses benefits from the business sustainability trend that makes consumers and merchants prefer sustainable or green online marketplace services. For example, improving eBay’s corporate social responsibility (CSR) strategy strengthens brand image and satisfies such trend in the remote or macro-environment. The increasing availability of renewable energy is an ecological external factor that facilitates such improvement in CSR strategy. The company can utilize more renewable energy for its online servers. In the context of this external analysis, the business stands to benefit from progressive sustainability measures. With such macro-environmental factors in this PESTEL/PESTLE analysis of eBay Inc., strategic management efforts must aim for leadership in business sustainability and other corporate responsibility variables applicable in the e-commerce industry environment. This PESTEL/PESTLE analysis of eBay Inc. considers rising e-commerce regulation as a threat and an opportunity. This legal external factor threatens the company’s international business through increasing controls and requirements to do business. For example, as developing countries impose tighter regulations on online retail website operations, firms like eBay experience stronger barriers to penetrating such markets. However, the same macro-environmental factor is an opportunity to globally grow the company. This part of the PESTEL/PESTLE analysis suggests that eBay’s business scale should enable it to manage controls and requirements to enter overseas e-commerce markets, in contrast to smaller firms with fewer strategic advantages for overcoming such challenges. On the other hand, improving regulatory support for market globalization is identified in this external analysis as an opportunity. eBay Inc. can exploit this trend to strategically expand into more markets worldwide. Furthermore, improving regulatory support for international transportation makes the remote or macro-environment supportive of business expansion. This external factor makes it easier for consumers and sellers to complete transactions through the company’s online trading platform. Therefore, in this aspect of the PESTEL/PESTLE analysis, eBay has opportunities for growth and expansion alongside legal reforms in the industry environment. Summary & Recommendations – PESTEL/PESTLE Analysis of eBay Inc.
Summary. This PESTEL/PESTLE analysis case of eBay considers the changing global e-commerce landscape. With international business operations, the company faces opportunities that support growth and expansion in its industry environment. To effectively attract and retain consumers and vendors, eBay’s marketing mix or 4P must account for product design trends, based on the external factors shown in this PESTEL/PESTLE analysis. The results of this external analysis also identify trends that threaten the business. For example, competition, especially through technological innovation, poses as a threat to eBay Inc.’s business. Still, the company can improve its performance by managing such threats and addressing the strategic opportunities in its remote or macro-environment. Expand its business operations overseas based on economic opportunities and governmental support for e-commerce. Increase its technological innovation to grow its customer base while minimizing the effects of technological threats in the industry environment. Expand its corporate social responsibility strategy to improve brand image and manage customers’ expectations. eBay Inc. – Get the eBay App. Gillespie, A. (2007). PESTEL analysis of the macro-environment. Foundations of Economics. Oxford University Press. State of California Department of Justice – Office of the Attorney General – Scam Artists Posing as Sellers on eBay. Yüksel, İ. (2012). Developing a multi-criteria decision making model for PESTEL analysis. International Journal of Business and Management, 7(24), 52.